Scientists were initially perplexed by a mysterious purple light that seemed somehow linked to the northern lights. 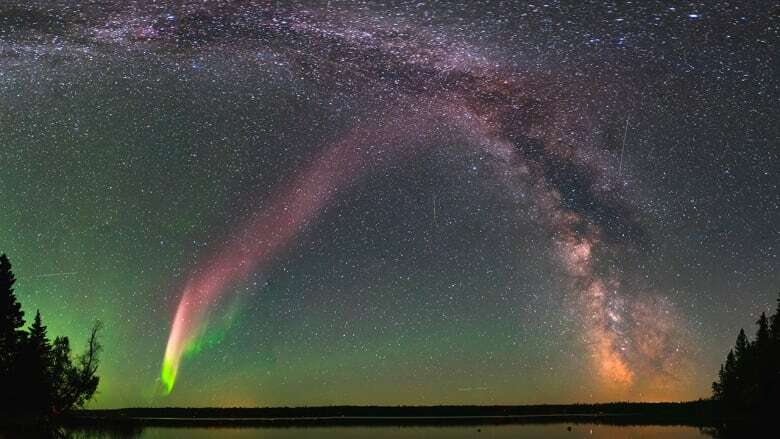 But with the help of some Canadian aurora watchers, scientists now have a better understanding of the phenomenon the hobbyists named Steve. The mysterious light in the sky had appeared so often that Canadian northern lights watchers gave it a name: Steve. Unlike those famous pulsating ribbons of light that stretch across the sky, Steve would appear as a narrow arch of purple light, sometimes paired with green fence-like features. Scientists were initially stumped by Steve. But now, with plenty of help from those Canadian hobbyists, they're shedding some light on Steve's origins. Chris Ratzlaff, a 45-year-old software product manager from Calgary, has been chasing the northern lights, also known as the aurora borealis, since 2010. 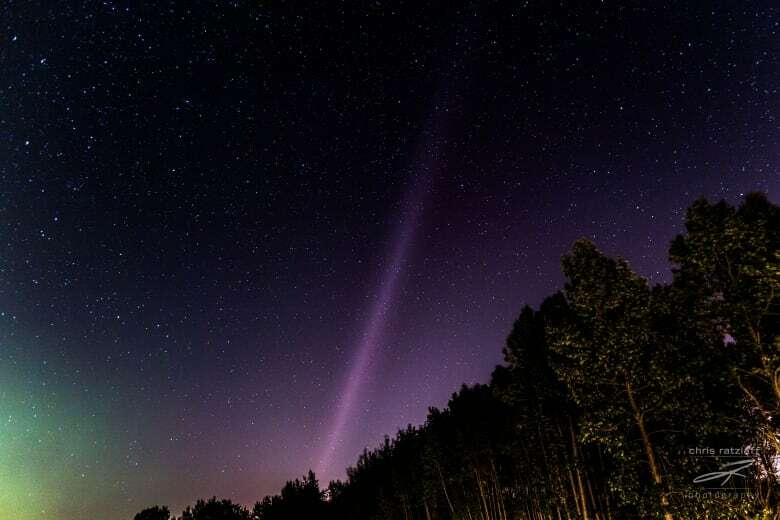 In 2014, after a night of watching them just north of Calgary, he looked straight up and spotted a dim, narrow arch of purple light. It was something that had been reported for years, but Ratzlaff had never seen it for himself. He thought it looked like a contrail left by an airplane. 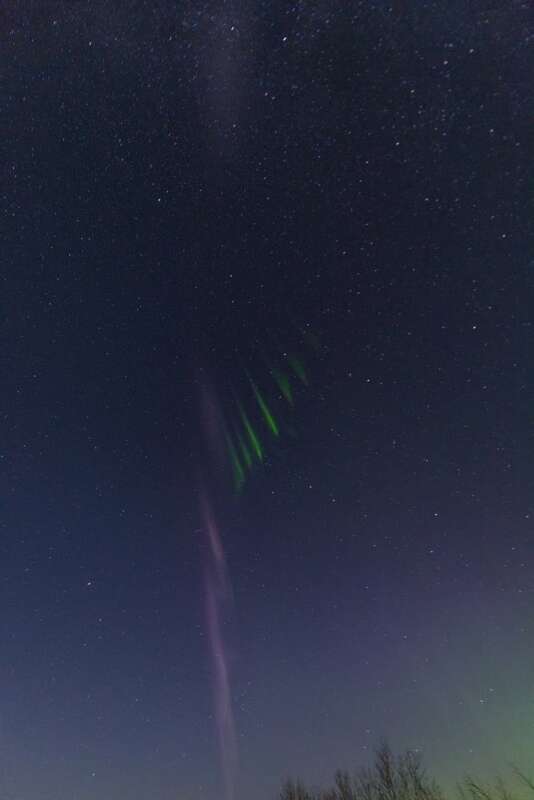 Perplexed, he contacted fellow enthusiasts in the Alberta Aurora Chasers group. No one knew what could have caused it. Soon, there were more reports coming in to the group's Facebook page, and not just from Alberta. One night in 2016, a group of aurora watchers gathered in Calgary, including Eric Donovan, a professor of physics and astronomy at the University of Calgary. Photographer Neil Zeller, mentioned that he'd taken a picture of a proton arc. "I said, 'No you didn't,' because a proton aurora is never visible to the naked eye," Donovan said. "Then he showed me a photograph ... and it was beautiful, but I didn't know what it was." The group agreed it wasn't a proton arc and decided to come up with a non-scientific name for it. Ratzlaff pitched the name Steve. Back at his lab, Donovan looked over images collected by an all-sky camera that continually points skyward and found something that he thought could be Steve. With no way to confirm it, he waited. About a month later, a colleague brought in a photograph to his lab of a "weird feature" his new all-sky camera near Lucky Lake, Sask., had picked up the same night Donovan had seen the light in the university's all-sky camera. That's when Donovan headed to Facebook to ask if anyone else had seen Steve that same night. Sure enough, someone had. And in another stroke of luck, the European Space Agency satellite Swarm — which has an electric field instrument from the University of Calgary — happened to be flying through Steve at just the right time and was able to collect data on what was going on in the atmosphere. "There are four pieces here, and if you take any one of those four pieces out, this can't happen," Donovan said of the research. The images and the data provided confirmation: Steve was something entirely new. The northern lights occur when particles from the sun travel along the solar wind and interact with Earth's magnetic field. A study published this week in Science Advances, co-authored by Donovan, says research shows Steve travels along a different magnetic field line than regular auroras do, and as a result, is seen farther south. The study also says the Swarm satellite data on Steve revealed something that's never been seen before: a stream of extremely hot particles called a sub auroral ion drift (SAID). The phenomenon has been studied since the 1970s, but scientists didn't know that it could be observed visually. As a result of these discoveries, scientists now hope to better understand the interconnectivity of Earth's atmosphere: how the lower and upper parts can influence one another. And the name Steve will stick. The scientists decided Steve stands for Strong Thermal Emission Velocity Enhancement. 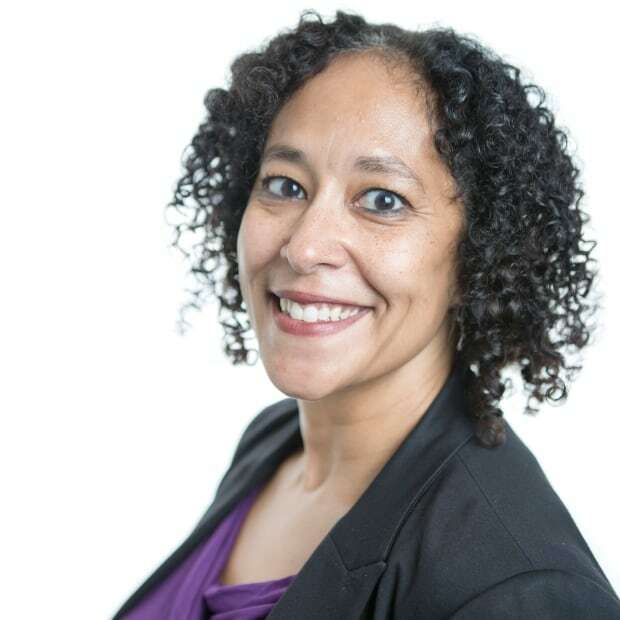 Notanee Bourassa, a 45-year-old technical assistant for SaskTel, has been chasing aurora for the past six years in Saskatchewan. He spotted Steve in 2016 just outside of Regina and contributed to the observations in the study. "I'm super thrilled to know that a plain guy who's passionate about this stuff can actually be a contributor to the advancement of our scientific knowledge," he said. He hopes Steve's new fame will encourage others to try to spot it and not only appreciate its beauty, but perhaps contribute their own observations to the research. Ratzlaff shares the same excitement that ordinary citizens can be a part of that. "It's pretty fascinating the contributions that can be made with a small army of people available," Ratzlaff said. Donovan, the professional scientist, says the aurora chasers have changed the way he looks at the world. "I've looked at the aurora for 20 years as a professional, and I wouldn't say that its beauty has escaped me, but I'd say I haven't immersed myself in the beauty of the aurora," he said. "The Alberta Aurora Chasers have helped me do that."